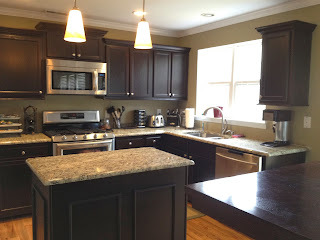 As customers review options to upgrade their kitchen, they often look at either tearing out the old cabinetry or cabinet refinishing old dated cabinets. The effort and expense of removing old cabinetry is quickly realized once the estimates arrive. This is why many of our customers have chosen to refinish their cabinets. Most cabinets are made with woods that are easily refinished, so why go through a major renovation that can take weeks or longer. Refinishing is relatively straight forward with everything staying intact, including appliances. And yes, you can even use your kitchen during the process!